Probably our last chance to visit the gardens laid down by William Podmore OBE, as they are soon to be closed to the public…. 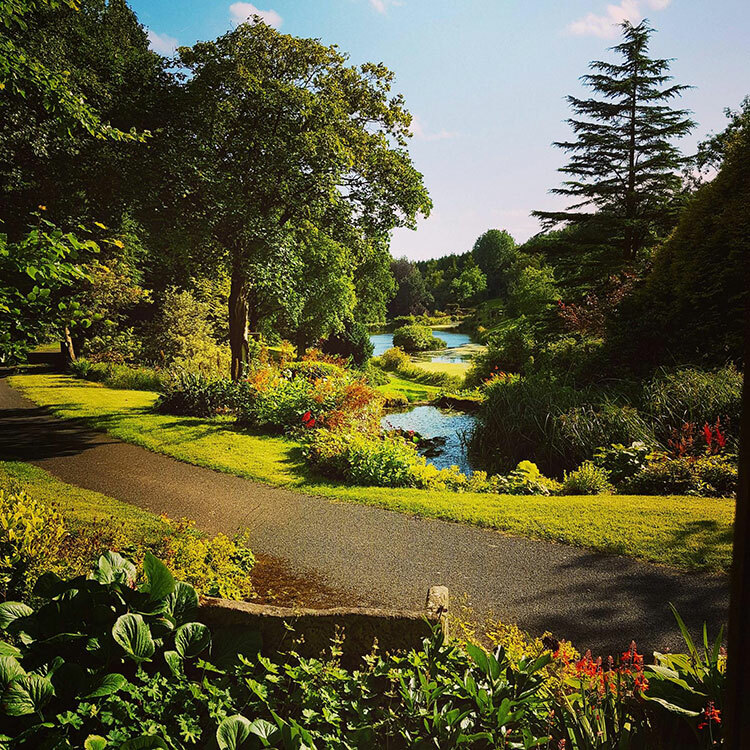 With 70 acres of perfectly landscaped gardens set amidst the awe-inspiring scenery of the Churnet valley, Consall Hall Gardens is the hidden gem of the Staffordshire Moorlands and one of the most beautiful venues in Staffordshire. Over fifty years of amazing vision, careful planning and construction have created Consall Hall Landscape Gardens, which includes six lakes, various follies, summer houses, packhorse bridges and much more. We will enjoy a light lunch at Consall Gardens. We then “stream it” to Churnet Valley Railway. One of the best steam railway days out in the UK, on magnificent trains through beautiful countryside. Rivers, valley, woodland, bridges, tunnels and Victorian stations. Right from when you arrive at the picturesque station you will feel as though you’ve travelled Consall Gardens and the Churnet Valley Railway back in time, then get everyone set with a little snack before you climb aboard the train. Aboard your magical 11 mile journey, you’ll see breathtaking views of the countryside that stretches off as far as the eye can see. We think this excursion combination makes for a wonderful day out.